A previously unknown oil painting by Salvador Dalí, held in a private collection since the 1960s, has resurfaced in New York. The work, on view at Heather James Fine Art, was authenticated by the Dalí scholar Nicolas Descharnes. The 9in tall untitled work, signed "Gala Salvador Dalí 1932", underwent a series of tests including signature and pigment analysis and infrared photography. 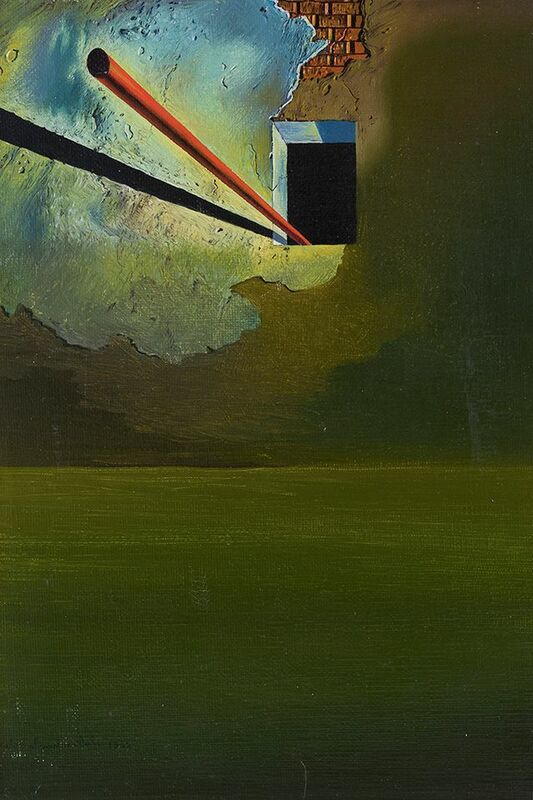 The painting appears to show a flagpole or boat mast emerging from a small window, motifs that appear in other works Dalí made around the same time, such as the painting Morphological Echo (1934-36). These motifs allude to the artist's home in Portlligat, the Spanish seaside village where he lived with his wife Gala from the 1930s to the 1980s. "There are always two levels to authentication. One is the technical level, with which I'll have the help of other experts, and the other is just pure knowledge," says Descharnes. In 2014 he authenticated the The Intrauterine Birth of Salvador Dalí from around 1921—one of the Catalan artist's earliest Surrealist paintings, which was discovered in antiques store in Girona. The present work took around nine months to verify, and Descharnes is now hoping to determine whether the work was shown in one of two exhibitions at the Galerie Pierre Colle of Paris in 1932, which lists some untitled paintings by Dalí. The work has not been recognised by the Gala-Salvador Dalí Foundation, but has been registered in the Dalí archive managed by Descharnes. The gallery confirmed it had received inquiries on the painting but would not disclose the asking price.